FUENTES DE CARBAJAL, VILLA Y GENTES: "LA FUENTINA" SE VA DE VIAJE CULTURAL: CANAL DE CASTILLA EN MEDINA DE RIOSECO. 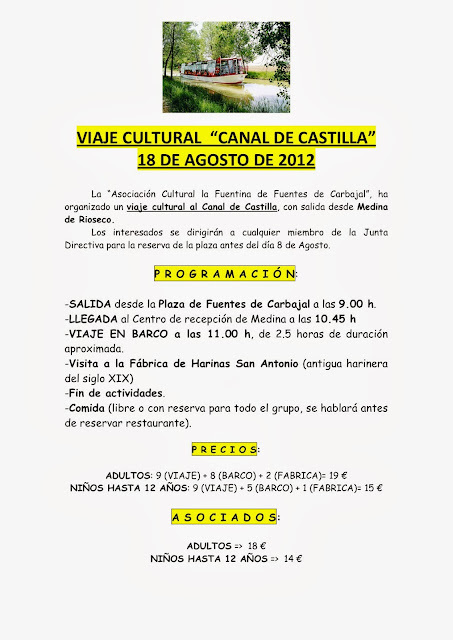 "LA FUENTINA" SE VA DE VIAJE CULTURAL: CANAL DE CASTILLA EN MEDINA DE RIOSECO. AGOSTO CULTURAL: ACTUACION DEL COMICO "FUMAN "